Some things get better with age, as the saying goes, and the fully-revised 2019 Toyota Corolla is case in point. The Corolla is one of the world’s most popular cars, with a remarkable production run that stretches over half a century. The twelfth generation Corolla steps it up with a switch to Toyota’s TNGA-C platform, which also underpins the Prius and C-HR. Toyota offers the Corolla Hatchback in just two models for 2019: the base SE and the XSE. The SE starts around $20,000 and the XSE around $23,000. The extra $3,000 buys a slew of cool stuff, including LED fog lamps, 18-inch alloy wheels, dual-zone climate control, a TFT digital dashboard display, an eight-inch flat-screen infotainment system, and leather-trimmed heated front buckets. A revised Corolla Sedan is due in the 2020 model year. Deciding which cheap new car to purchase can be a daunting task. It’s crucial to take your time, do your research, and look at the big picture. While we are largely focused on fuel economy here at MPGomatic, your purchase decision will include a range of considerations. The process can be highly emotional. The car you like best, might not make the most financial sense, for any number of reasons. If the car you fall in love with turns into a money pit, the honeymoon won’t last long. 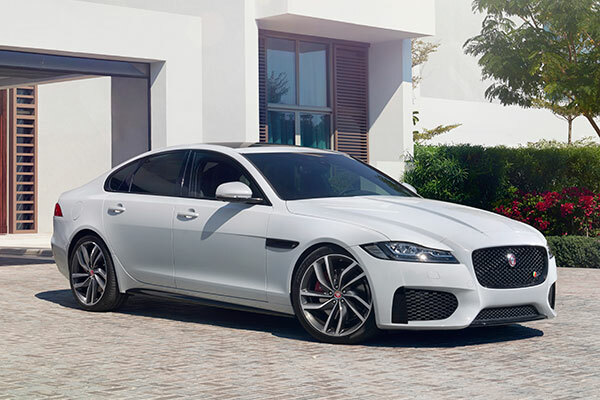 Kelly Blue Book (KBB) crunched the numbers to determine 2018’s least expensive new cars “based on a full buy-drive-sell ownership cycle” (not just the purchased price). While some folks are most concerned with the monthly payment, the most important factors in KBB’s calculations include initial cost, finance rates, and five-year depreciation, as well as fuel costs. These are KBB’s picks’ not our favorites. All of the vehicles on the list use conventional gasoline engines. Some worthy compacts and subcompacts oddly didn’t land on the list (including the Corolla, Yaris, Civic, Mazda3, Focus, and Fiesta) and there are no hybrid or diesel models due to the higher sticker prices. It comes as no surprise that all of the vehicles are front-wheel-drive. We’ll run through the list by order of fuel economy and include KBB’s listing order at the end of the article. Once upon a time, exceptional fuel economy and all-wheel-drive (AWD) were mutually exclusive automotive attributes. But with today’s highly efficient hybrid, turbo-diesel, and conventional drivetrains it’s a whole new ballgame. As the song goes, the times, they are a changing, and forty miles per gallon (MPG) on the highway is a reality if you choose a diesel-powered vehicle. Let’s take a look at the ten most fuel-efficient AWD vehicles of 2018. The glass was cracked, but perfectly usable (for a while), until the day it wasn’t. 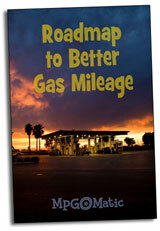 Do you take the time to look for less expensive alternatives to fill up your vehicles fuel tank? I’ve noticed that the service stations in my neck of the woods tend to have consistent pricing levels. Some are always high, some are always low, some ride the middle line, and some are extraordinarily high. I make my fueling choices based on the 1) the quality of the fuel and 2) the price. Brand doesn’t matter, as long as it’s quality fuel. I had to fill up a test car with premium fuel this afternoon and had a bit of extra time, so I checked the prices at a handful of local stations. I was shocked by the astronomical price difference or “spread” as it’s referred to in the biz. In this video, I compared the prices at four different gas stations in one region.